The French superstar has heavily linked with a move to Barcelona, but he eventually opted to stay at Atletico Madrid and has revealed that Lionel Messi was a big part of that decision. 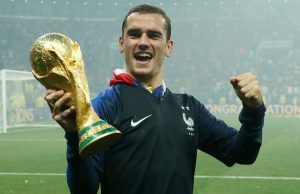 Antoine Griezmann had a brilliant season last year, winning the Europa League and even playing a crucial part in France reaching and then going on to win the World Cup finals in Russia over the summer. That combined with his incredible contribution which included 29 goals and 15 assists has led the 27-year-old to say, that he should be considered as a potential option for the Ballon d’Or. While the 27-year-old Griezmann did struggle and endure a complicated start to the season, he like Cristiano Ronaldo been in stunning form in 2018, scoring 26 goals in the La Liga, Champions League and the Europa League, with 3 goals in his last four Champions League appearances this season, after coming off arguably his longest season. 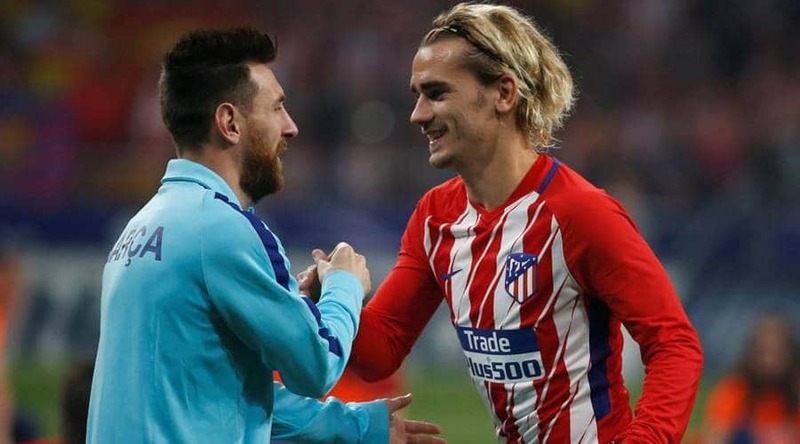 That combined with Griezmann’s intense work-rate and link-up play made him Barcelona’s top target, with the club reportedly willing to pay his 100 million release clause to bring him to Camp Nou. But with is future in doubt, Griezmann announced before the start of the FIFA World Cup itself, that he would not be leaving Atletico Madrid and instead signed a one-year extension with the club. Now the striker reveals that a major part of his decision to stay was because of the fact that he would play second fiddle to Lionel Messi, as he revealed “Hard to refuse Barca? It’s very difficult. You have Barca who wants you, who calls you, who sends messages. But then there is the club where you are, where you are an important player and where they build a project around you. What tipped the scales? To see my teammates and especially the coach after a game where I was whistled, he came home by surprise to calm me down and talk with me and show that I had his confidence. If Antoine Griezmann did join Barcelona, they would have been unstoppable. Not only would Lionel Messi and Luis Suarez get a break every now and then, with the Frenchman shouldering the goal-scoring burden, together they would have been unstoppable. However, in the end like Paulo Dybala and Neymar, Lionel Messi’s shadow plays a big part in bringing any superstar to the club and once again, it may have lost them one. Barcelona star set to leave at the end of the season!